Twelve years ago, Jose Luis was Mayor of San Nicolás Buenos Aires, Puebla Mexico, where he had the opportunity to help many people who were in need. But there came a dark period in his life when he became an alcoholic. This ultimately resulted in the separation of his wife and children and the loss of respect from his friends. A few years ago, he met a woman named Araceli, formed a new family, and had two beautiful children. However, he was still disillusioned, with no work, no money to eat and no food to feed his family, and he had also developed diabetes. In May 2017, out of his loneliness, Jose Luis desperately pleaded with God, and asked for someone to visit him. It was then that the Holy Spirit moved in the heart of Pastor Juan Santiesteban and his local church. When they knocked on Jose Luis’ door, he broke into tears because God had heard his cry for help. He had never read the Bible, and had thought that “religion” was hypocrisy and never took it seriously. Until now. Pastor Juan and his church wanted to share the message of Jesus Christ with him and his family as well as meet a physical need for them. Jose Luis and his wife asked if a small wall could be built so they could open up a small store to sell things to their neighbors to help pay for the medical expenses. Pastor Juan and the church were thrilled to partner with HOPE Coffee to share how they could have eternal life by believing in Jesus Christ. 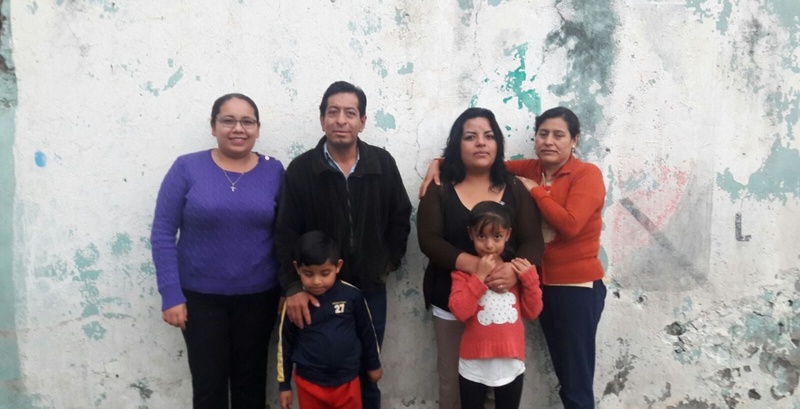 However, just as the plans were starting to come together to start this project, Jose Luis’ extended family heard that this project was going to be done by evangelical Christians. “No evangelical Christian will ever do work on my house” was the response of Jose Luis’ mother, who owned the house. There was nothing Jose Luis could do. The project was stopped. The work was over. Thank you for drinking HOPE Coffee and praying for those who need Jesus!